"Don't block us. Back us," Notley tells Senate. Rachel Notley told the Senate of Canada to take Ottawa’s west coast tanker ban legislation “straight to the garbage bin." Presenting Alberta's case against the bill, Notley called on the Senate to trash Ottawa's "horribly misguided" tanker ban legislation. The Senate Transportation Committee is currently hearing arguments on the Bill C-48, the Oil Tanker Moratorium Act. Notley brought two Albertans who work in the energy sector, Angela Allen and Roger Auriti, to show senators the ordinary Albertans who are affected by Ottawa's plan. Notley calls Bill C-48 an "Alberta ban"
Notley argued the bill is effectively an "Alberta ban," unfairly targeting Alberta’s oil and gas sector and the jobs that come with it. The so-called “tanker ban” will stretch from the northern tip of Vancouver Island all the way to Alaska. Bill C-48 still allows massive Liquid Natural Gas (LNG) tankers to travel the coast of British Columbia. Despite this, Ottawa's legislation would prevent Alberta products from reaching markest overseas. This will hurt Alberta's plan to upgrade more bitumen in Canada, which Notley has fought for as part of the biggest diversification effort since Premier Peter Lougheed. Alberta's plan means more revenue for our resources and fewer emissions, which is a good thing for all Canadians. “Pipelines are the solution. We need Canada to back our workers, not block them,” Notley said. Notley argued that Alberta’s leadership in the energy sector is not only creating jobs, it's building an economy for the future. In addition to creating thousands of good jobs, the energy sector creates economic spinoffs, including increased consumer spending. By helping to build strong communities, Alberta is able to fund strong hospitals and schools that will prepare future generations. Alberta energy is essential for a stable democracy with high environmental standards. 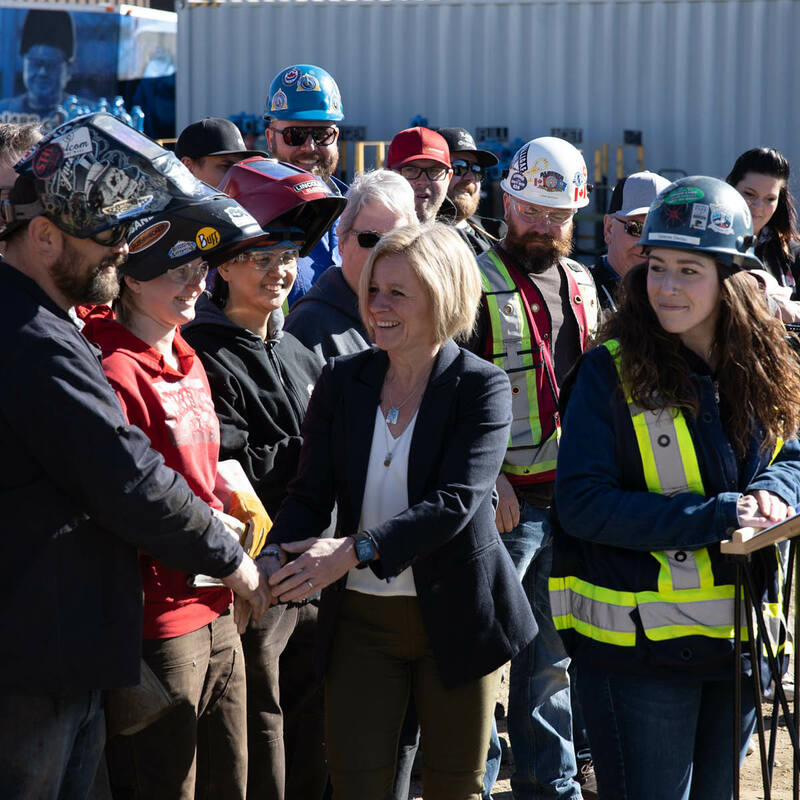 Notley's plan to address climate change is helping the province’s oil and gas sector prepare for a changing economy and low-carbon future, by getting more from each barrel. By threatening the sector, Ottawa will undermine that work and destroy investment. If Ottawa continues to push policies that single out provinces, Notley said, it will only feed the deep divisions that Jason Kenney is stoking to divide Canadians and undermine efforts at sustainability. "Let's show Canadians that we can grow our economy and fight climate change," Notley said. "Let's show Canadians that 90,000 jobs in downtown Calgary are just as important as 9,000 jobs in downtown Montreal."